Keep Comfortable and Dry while Babywearing! A key rule of parenting is to always be prepared. The Ergobaby Rain Cover easily snaps on to any Ergobaby Carrier to provide protection from wind and rain. 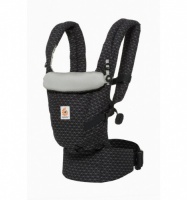 The light and compact Ergobaby Rain Cover easily fits in your change bag for on-the-go access whenever skies turn dark. 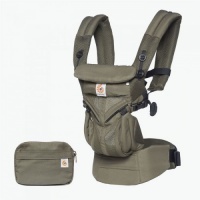 *Both the Winter Weather Cover and Rain Cover can be used with all current Ergobaby carriers. Snap adapters may be needed to use the Winter Weather Cover or Rain Cover with carriers made in 2013 or earlier. Please contact customer service at support@ergobaby.com or 1-888-416-4888 to request snap adapters if you require them. Please note, the Winter Weather Cover and Rain Cover are only intended for use in the front-inward carry position. They cannot be used in the front-outward carry position.